Void & Meddler- a cold, progressive point & click game in a retro-futurist ambiance. 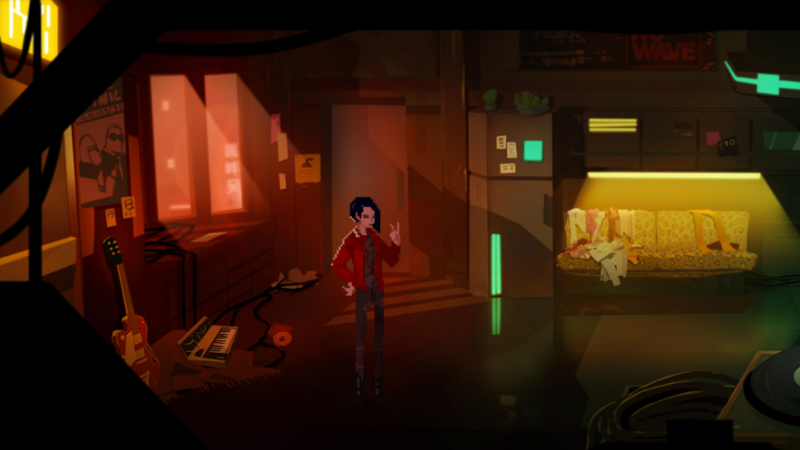 Void & Meddler is a retro point & click game drawing it’s inspirations from cyberpunk literature and the ’80’s underground music scene. Through the story of Fyn, an amnesic, androgynous character in search of their identity, Void & Meddler skillfully addresses various subjects such as polyamory, trans identity, addiction and sexuality. Divided in three episodes, Void & Meddler is going to be released during the course of the year 2019.
computer, headphones, mouse and keyboard. Click on the objects found in the environment and interact with the help of the action icons. Press Escape to access Options and switch language. Return to Main Menu to restart the game.